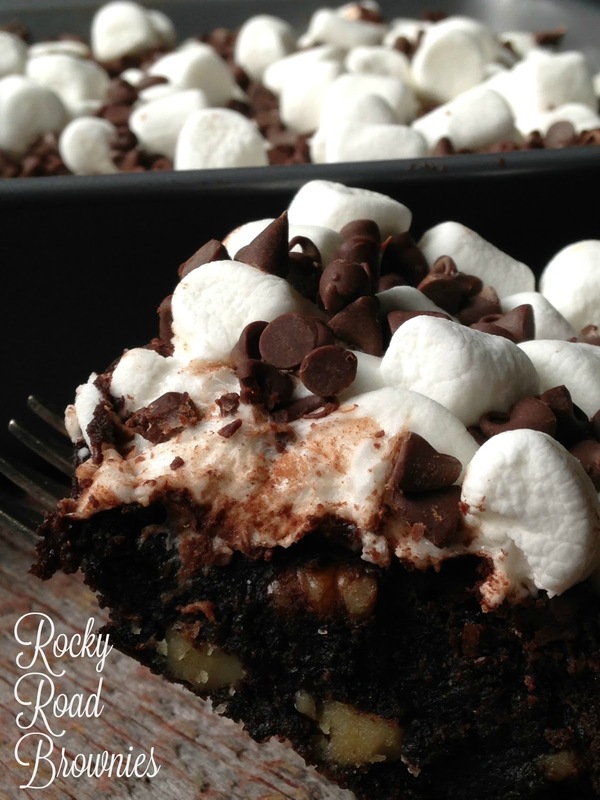 Rocky Road Brownies, The Brownies that Rock!! According to my son these brownies rock! 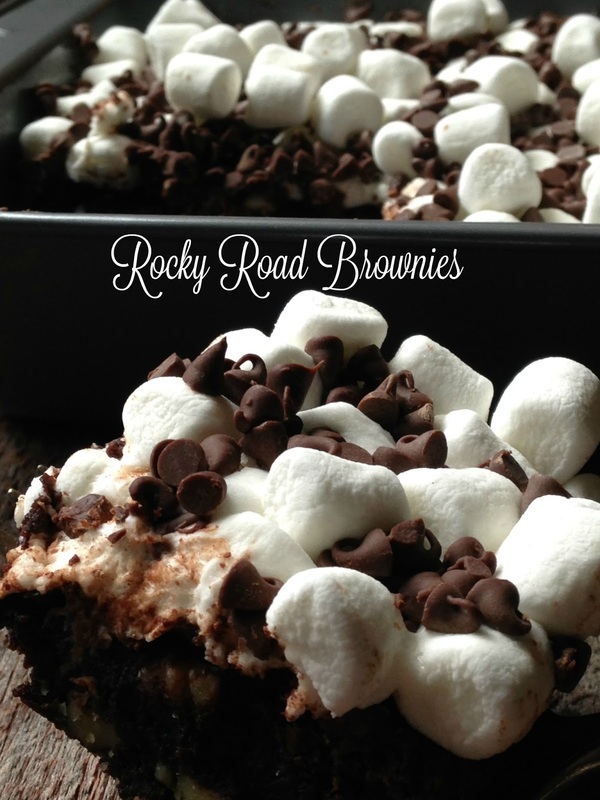 Not only do Rocky Road Brownies rock they’re made with only 6 ingredients….Now that rocks!! If your looking for a fast, easy and delicious brownie recipe, then look no further because this is the one you want. 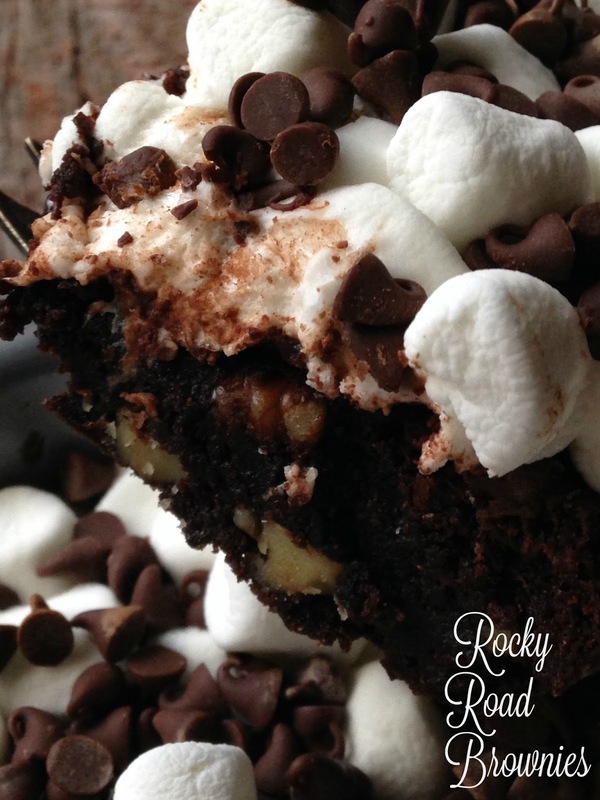 For convenience we used a boxed brownie mix with nuts but you can easily make homemade brownies, mini chocolate chips, and mini marshmallows, this recipe couldn’t get any easier. As soon as your pan of brownies has finished baking, they’re removed from the oven and the mini chocolate chips and mini marshmallows are immediately sprinkled on top of the hot brownies. The brownies are then allowed to cool and what you have is a pan of chocolaty, marshmallowy, nutty goodness. This recipe makes an 8 x 8-inch pan of brownies but you can easily make this into a 13 x 9-inch pan of rockin’ brownies. For an added treat serve these already delicious brownies with a scoop of vanilla ice cream. Heat oven to 325º Lightly grease a square 8 x 8-inch baking pan with non-stick cooking spray. Place water, oil and egg in a medium bowl and stir until fully mixed. Add brownie mix and stir until well blended. Spread in prepared pan. Bake for 38 to 42 minutes. Immediately after removing from oven, sprinkle with the mini marshmallows and chocolate chips. Cool completely.